Last week, I went home. 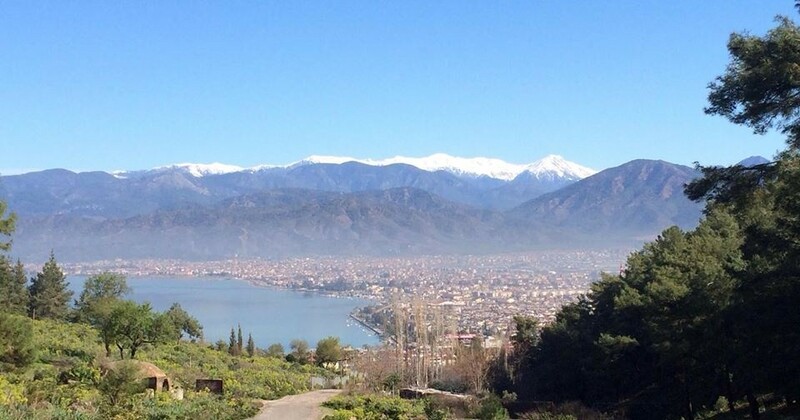 I don’t care where I was born or where you might consider my hometown to be – my heart and my soul belong to Fethiye. From the moment I stepped off the plane at Dalaman Airport, I knew I was in the right place – and I can’t pretend I wasn’t relieved. It had been a while since my last visit and I was nervous that Turkey had acquired a rose-tinted veil in my subconscious. What if it wasn’t as beautiful as I remembered? What if I didn’t feel as comfortable or at ease? What if my inner self – the instinct, the core of conviction we know we should heed – whispered that, actually, moving there was a mistake? I needn’t have worried. The place, the people, the food, the music – it was all every bit as wonderful as I remembered. All I could think was how much I longed to stay and, just an hour after arriving, I was already dreading the day I’d have to leave. One of my most poignant moments came on the Sunday, as I lay on Olu Deniz beach. It was perfect – a cloudless blue sky, 26C temperature, gloriously warm sea. I lay on my sunbed, read my Kindle and watched the paragliders drift down to earth from Babadag mountain. The only thing missing was my family, and that made me want to cry. But the week wasn’t just a holiday – it was for fact-finding, information-gathering, making friends and contacts. I’ve learned that the best way of finding out anything is definitely to get out there on the ground and do it in person. I’ve already started online research of course – made virtual friends on the ex-pat forums and websites, asked questions and received some valuable answers. But you can’t beat being there. As an example, let’s take finding a home. I’ve seen posts online from people looking for long-term lets. I’ve seen them repeated when nobody responds. If I’m honest, this made me a little anxious. What if we couldn’t find anywhere? Now, I know it won’t be a problem. There are plenty of places available – you just need to know where to look. Maybe it sounds obvious, but while it’s all very well to Google ‘homes for rent in Fethiye’, if the estate agent’s website is in Turkish, it’s not going to show up. I was very lucky to meet some wonderful Turkish people in Kayaköy, where I was staying – in fact, they are now friends. Having them on-side will make some of what we have to do that much easier and I’m already planning a return trip in a couple of months to sort out some of the necessary admin. I can’t wait. I was so close to simply not getting on the plane home, and I wish I could wind time forward six or eight months……or maybe I’ll draw up a chart and tick off the days as they go by, as a child might do for Christmas. One thing is for sure – if there had ever been the slightest doubt, it’s gone – my future is in Fethiye. This entry was posted in Early days, Planning and preparation and tagged Babadag mountain, Dalaman Airport, Fethiye, Fethiye Fish Market, Kayaköy, living in Fethiye, moving abroad, moving to Turkey, Olu Deniz beach, Turkey on November 4, 2013 by theparsleys.